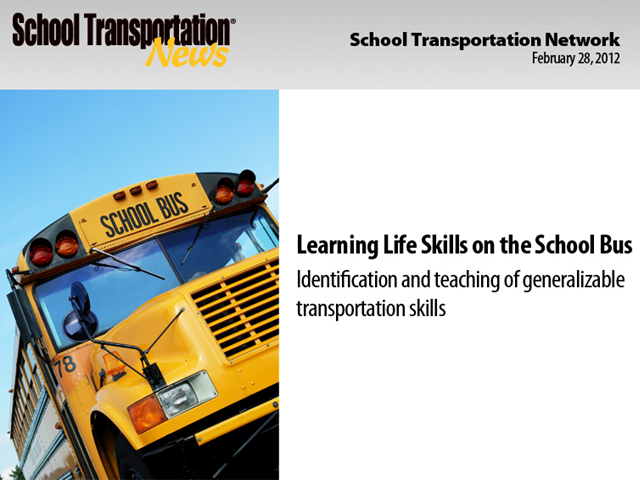 School buses provides students with disabilities valuable travel training opportunities. Federal law requires that these students be provided with rides to and from school, and the yellow school bus is a vital part of educating those same children on how to rely on public, mass-transit services. The school bus teaches lessons on independence, self reliance and safety that can benefit students with disabilities for the rest of their lives. Join school transportation consultant Ted Finlayson-Schueler, owner of Safety Rules!, as he discusses how and why student transporters must understand the concept of travel training and offers suggestions on how to develop and implement concepts into their operations. He is scheduled to be joined by two special education teachers and a school psychologist from Clarkstown (N.Y.) Central School District.